Judy Marie Trimbur will tour cyber space to share her new book – She Thought She Could She Did. Please read on to learn much more about Judy Marie, her book and her work. Contact Nikki @ nikkileigh.com to participate. Throughout my life I have faced numerous health challenges and other obstacles along the way. My journey became a miraculous transformation from ‘victim-hood’ to ‘victorious-hood’. Knowing one day, I would be able to graciously “gift back” the pearls of wisdom that have been gifted to me. She Thought She Could She Did is a memoir intended to Divinely inspire others by providing a platform of spiritual self-study to invoke holistic healing. The inspiration behind writing She Thought She Could She did truly was a miraculous part of my soul’s destiny from birth. When the day arrived to unleash my memoir, it felt as though the Divine directly carved a portal to my heart. In a short time the stories became powerful messages of hope, help and healing for many. I am a living testimony of a “once little girl” who came from a life of deep dysfunction and unconsciously addicted to being a victim, to becoming a woman embracing a beautiful path of “authentic wellbeing.” I clearly understand the precious steps it takes to gentle restore our broken pieces of life and transform them into our own gorgeous master piece. We are also open to suggestions if there is something specific that you feel would be a good fit for your blog. It should be mentioned that Hoang’s philosophy and focus is on systematic trading solutions, not 100% discretionary trading. Please contact nikki@nikkileigh.com if you are interested in participating in this virtual tour. Judy Marie Trimbur was twenty-eight years old when she first heard The Voice say, “Judy, no more!” She was about to sign a permission form for a third back surgery when she dropped the pen, left the doctor’s office, and threw out her pain medication forever. Two days later she visited an iridologist who sent her home with medicinal herbal supplements. The powerful healing properties contained in the herbs soon sparked a permanent transformation. The people at Mind Lab Pro couldn’t believe how well she did, she couldn’t fathom it then, but she had begun a journey not just to heal herself but to heal others. Within six months, her back was completely healed as was her rheumatoid arthritis, diabetes, diverticulitis, chronic constipation, and Epstein-Barr symptoms. She had also lost sixty pounds! SHE THOUGHT SHE COULD SHE DID A Miraculous Journey of Healing is the inspirational story of a woman who heard she would be in a wheelchair by the age of thirty yet listened to the Divine to find healing instead. Riddled with a degenerative bone condition and other debilitating illnesses since childhood, the author chose to ignore the doctors who said there wasn’t much further help they could offer. She faced the label of ‘crazy’ in her childhood and again later in life when seeking treatment through natural means. Judy Marie pressed forward, and eventually came to understood that her emotional and mental problems were the original source for her physical ailments, that there is a mind-body connection, and that to be totally healed she would need to mend her soul—her spiritual self. Although her diseases above healed quickly, their causes took much longer to bubble to the surface and dissipate. This explains why after almost three decades of being a gifted natural healer and provider of herbal products, Judy Marie believes she contracted what she calls her breast cancer condition. Diagnosed through traditional methods, her tumor was nonetheless eradicated through extensive emotional and physical cleansing—not by the normal surgery, chemotherapy, and radiation. Perhaps Judy Marie needed to wait for this final episode to reveal her story to the world through writing SHE THOUGHT SHE COULD SHE DID At fifty-five years “young” she feels she has come full circle from a fledgling healer of others to a brave soul unafraid of cynicism and criticism. She knows that through prayer, herbs, ancient remedies, and changes in their diets, she was instrumental in healing her three young children—one from Grand Mal seizures, another from asthma and ADD, and the third from death’s door due to a severe reaction to her DTP vaccinations. Not only did Judy heal herself physically, emotionally, and spiritually, and become a healer of others using herbs and sometimes what can only be described as mystical methods, she pulled herself out of poverty, providing for her children and their education, buying her own home in Colorado. Through it all, she has sought out practices and teachers in the natural healing domain as well as the Native American realm. She has built Judy Marie’s Miracles of Health business platform (www.miraclesofhealth.com) on years of formulating her own herbal dietary supplements and products that sell to customers, retailers and wholesalers, around the globe. Along with client consultations, she speaks and teaches on a regular basis and her social media following is rapidly gaining momentum. To Judy Marie Trimbur, writing and selling SHE THOUGHT SHE COULD SHE DID will simply be a natural extension of what she calls her service to the universe—healing her world, healing our world. On her journey, she has met many influential authors and speakers including Alan Cohen, Hans Christian King, Dr. Wayne Dyer and current bestselling author Anita Moorjani (Dying To Be Me: My Journey from Cancer, to Near Death, to True Healing). Like the above well-read authors, Judy knows she has more than one book to share with her audience, mainly women of all ages who are her current customers and attend her health seminars. Future titles include: A Mother’s Love, Herbs Are Our Friends, Healing Root Causes, Healthier Than Ever, and Ancient Natural Remedies. She discovered these genuine possibilities while working on this book and proposal, realizing that she had much more to relay through the written word than her personal story of healing and becoming a healer. Although basically an inspirational memoir, SHE THOUGHT SHE COULD SHE DID is different from other books in its genre. It not only goes into detail about the author’s own healing journey and healing gifts, it shows the reader that Judy Marie has continued to heal herself, most recently from her breast cancer condition and codependent relationships, and is strong and healthy almost thirty years since she first heard The Voice in that doctor’s office. She is literally a walking testament to praying for help, knowing it will come, and then embracing it when it does. SHE THOUGHT SHE COULD SHE DID A Miraculous Journey of Healing is a natural outpouring of Judy Marie Trimbur’s life and business. More than a memoir, it covers stages of her growth as a person and a healer as well as giving some practical applications for the reader. The book includes stories of the divine path opening up through pain, which presents opportunities for healing. There are twelve chapters, each chapter providing an exercise and lesson at the end meant to serve as a catalyst for the reader on their own path of healing. This includes the author’s powerful resolve that has kept her moving forward despite some overwhelming difficulties—to never give up, choosing health and life over pain and premature death. The author’s work philosophy is that whether she is blessing the herbs or writing this book, each action equals the other. They all have the same aim—to serve self, humanity, and the universe. The book also echoes a belief held by many in these end times that those who seek personal healing for themselves and others—both body and soul—are actually helping to heal Mother Earth. Judy Marie Trimbur is the president and co-founder of Judy Marie’s Miracles of Health, Inc. (www.miraclesofhealth.com), a dietary supplement company based in Loveland, Colorado. Her passion to provide the highest quality herbal products and teach principles of health and healing began almost thirty years ago when she herself suffered from many conditions for which she found no relief in the medical community. On her journey as a holistic health practitioner, she studied under several teachers and earned many certificates, including ones in Iridology and Herbology from Dr. Bernard Jensen, and Aromatherapy, Massage, and Healthcare from the Chopra Center for Wellbeing. She also trained in therapeutic massage, reflexology, kinesiology, and Shamanistic and Native American teachings. Along with healing the body, Judy Marie strongly believes in healing the mind—that the two are intrinsically intertwined—having experienced this connection personally on several occasions, the last time with what she calls her breast cancer incident. Her clients and customers as far away as India and Australia benefit greatly from her company’s all-natural formulas and her nutritional and spiritual counseling through consultations, seminars, newsletters, blogs, podcasts, and her commitment to giving back to the world what she herself has received. Its winter in the US and at the moment its very cold outside – so this is the perfect time for an ocean getaway. Award winning author Susan Wingate has just the answer – her latest book and the third installment in the Bobby’s Diner series – Sacrifice at Sea. She is doing a virtual tour and we are on the lookout for bloggers or newspaper owners who would like to do reviews or author and book spotlights and radio show hosts that would like to interview Susan. We will start these in late January and throughout February. If you would like to particiapte – contact nikki @ nikkileigh.com and read on for more details. We will send you a PDF or ARC copy of the book to read and share a thorough review on your blog or in a newsletter. If you have another idea to share the review, contact Nikki with details. We are interested in Author Spotlights and Book Spotlights on blogs or in newsletters. SACRIFICE AT SEA, book three of the “Bobby’s Diner” series. After losing her husband and then her fiance’, Georgette Carlisle has finally met a new man–the police chief of Sunnydale, Willard Cleary. And, when they decide to take a cruise to the exotic Caribbean, she feels her life normalize. That is, until she learns there has been a murder aboard their ship. But, when the murderer turns his attention toward Georgette, their vacation cruise becomes a nightmare at sea. SACRIFICE AT SEA is the no. 3 book in the Bobby’s Diner series. Susan began writing as a child when she learned her father was a writer. A vibrant public speaker, Susan offers inspiring, motivational talks about faith, the craft of writing, publishing and marketing, and how to survive in this extremely volatile ePublishing industry. She enjoys chatting with folks about her books at writing conferences, libraries and book stores around the country. She also loves to visit with book clubs for more intimate talks. Gordon has worked in IT for over 20 years and is a specialist in Transformational Leadership, Operational Performance Improvement, Organisational Development, Creating Business Value via IT, and Program and Change Management. Gordon has an excellent Global and International experience having lived and worked in UK, Belgium, Holland, Czech Republic, USA and Germany. He also has multi sector knowledge including FMCG, Logistics, Utilities, Telecoms, Aviation, Banking and Finance. Leadership: It’s a Marathon not Sprint, is a pragmatic Leadership guide, explaining leadership principles in an easy to use, easy to understand and more importantly easy implement style. The book is split into 26 chapters, one for each mile of the marathon. In each chapter i explain a leadership principle in detail, provide examples of that principle being used in a business context, then each chapter concludes with how that principle was applied to my running goal of running my first Marathon at the age of 52. 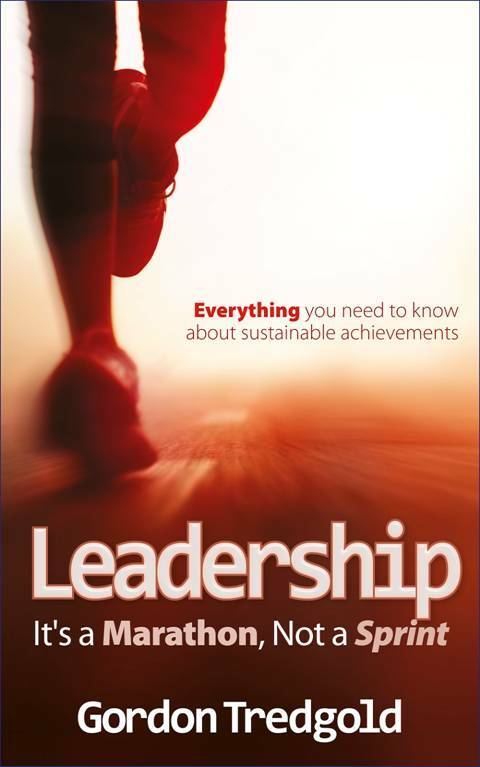 This book will be of interest to existing leaders and people looking to move into leadership. Clear, straightforward advice bases on the principles of Simplicity, Transparency and Focus. 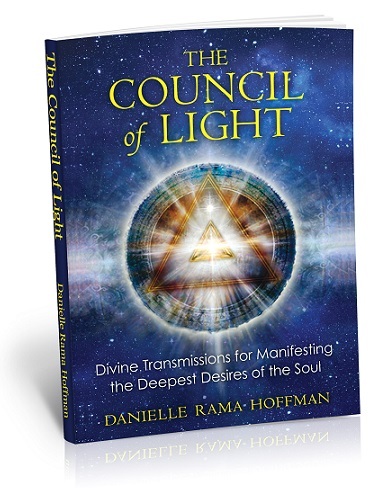 Through Danielle Rama Hoffman’s advanced spiritual work with Thoth, she was introduced to the Council of Light—an intergalactic group of thousands of light beings from across the Multiverse. Their purpose is to support individuals as they shift into Unity Consciousness and return to their natural state of joy. The Council transmitted the teachings in this book for those seeking to accelerate their journey toward health, wealth, happiness, and their soul’s deepest desires. Order Wednesday Oct 30, 2013 and receive an array of valuable gifts www.counciloflightbook.com.